A number of major Democratic donors say they will no longer support Democratic New York Sen. Kirsten Gillibrand as she considers a possible 2020 presidential campaign, following her attack on and vilification of former Democratic Minnesota Sen. Al Franken. Gillibrand helped spearhead the campaign to remove Franken from politics and strip the former senator from office following allegations of sexual misconduct. 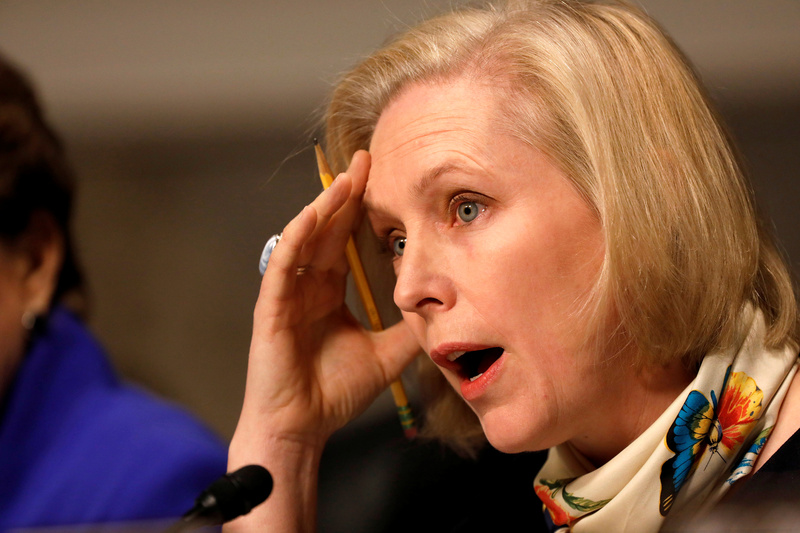 After the allegations surfaced, Gillibrand loudly insisted he resign. Franken officially resigned Jan. 2 in the midst of the #MeToo movement. His resignation came after Leeann Tweeden accused him of groping and forcibly kissing her. Others said they “will never do anything for her” after her attack on Franken, according to Politico. Gillibrand’s attack of Franken has “stained [Gillibrand’s] reputation as a fair player,” said prominent Democratic fundraiser Susie Tompkins Buell, according to Politico. “I do hear people refer to Kirsten Gillibrand as ‘opportunistic’ and shrewd at the expense of others to advance herself and it seems to have been demonstrated in her rapid treatment of her colleague Al Franken,” Buell said, Politico reported. Gillibrand is considering a presidential run after winning New York’s Senate seat during the midterms. She promised ahead of the midterms to serve a full six-year term if re-elected to the Senate. Billionaire and liberal donor George Soros claimed Gillibrand called for Franken’s resignation “in order to improve her chances,” according to a June interview with The Washington Post. An ardent supporter of the #MeToo movement, Gillibrand was also vocal that former President Bill Clinton should have resigned after his affair with Monica Lewinsky. Her position alienated a number of Democrats who otherwise might have been her allies. “Let me tell you how strongly I felt about it — I didn’t even vote for her in the recent election. I left it blank,” said a Majority Trust member who has given money to Gillibrand previously, according to Politico. Another Democratic donor called her “duplicitous” and said her attempt to crucify Franken confirmed she can’t be trusted. “I think that she hurt the Democratic Party. I think that she hurt the Senate. I think that what she did for women in politics was dreadful,” the donor said, Politico reported. It appears her politics have not served Gillibrand well, after a number of prominent national donors — including women — have indicated they will not donate to Gillibrand’s campaign if she does decide to run for the presidency, according to Politico. Gillibrand did not reply to The Daily Caller News Foundation’s request for comment.